So if anyone was following my Season of War campaign over at riseofempires then you would have seen I ran a painting competition too. There were so many fantastic entries but Rusty came out on top with this superb and unique megasboss from the IronJawz faction. I managed to catch up with him after to get a quick interview on his hobby and the miniature in question. Sean: Hi, Rusty, How are you? Sean: Where are you from and what is the scene like in your area? Rusty: I live on Long Island, in New York. I recently moved back to my hometown after roughly 10 years in Saratoga Springs, New York. Upstate, there was a very heavy Warhammer 40k scene, which I enjoyed, but could never really fall in love with the game itself. When I moved down to Long Island I couldn't find anyone hobby shop where people played so I decided to step up and try to launch an AoS community that would hop from store to store each month, an idea I shamelessly stole from Rob Perez, the Infinity Warcor in my local area. Sean: What are you up to in the hobby at the moment? Rusty: Right now I'm experiencing some serious Hobby Wobble. 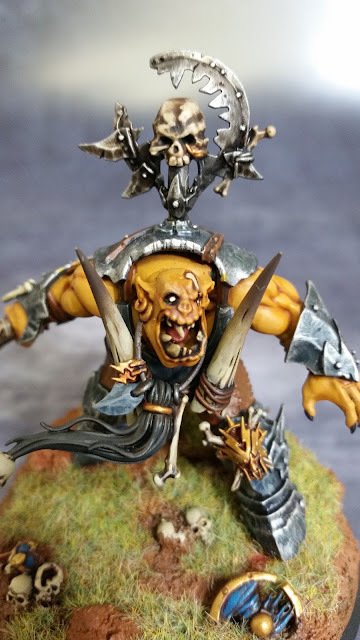 On the painting table, right now, I have two AoS starter boxsets I'm building up for demo games, two tables worth of Terrain, Fyreslayers, Beastclaw Raiders, and a converted Wurrgog Prophet for the Bonesplitterz clan I think I may run for a slow grow campaign. 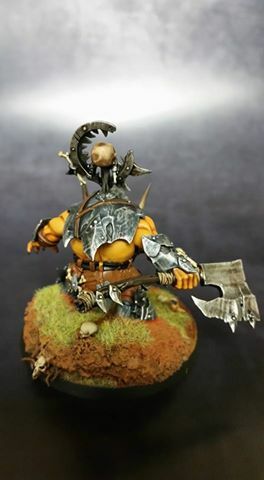 Sean: So congratulations on winning the first ever HobbyHammer painting competition! The model you entered is amazing! 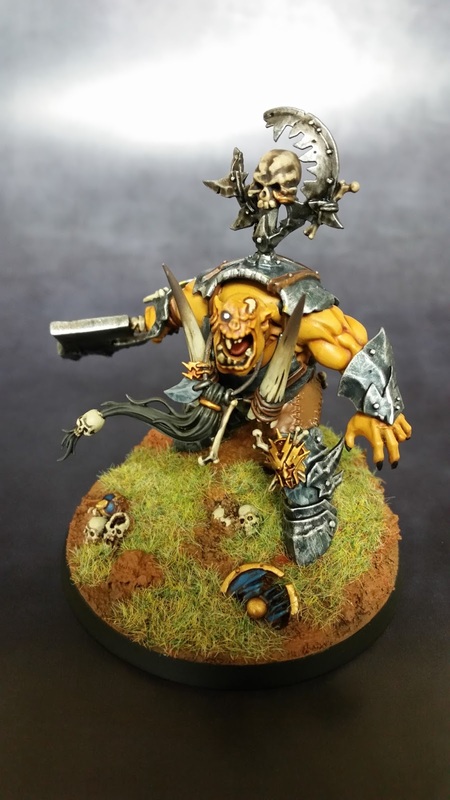 What made you want to do such a different colour and tone to what people think of Orruks? Rusty: Thank you so much! Normally, I'm very reclusive, I don't keep a blog or post on forums often, but my girlfriend is pushing me to photograph finished models before I move on to new projects. She really pushed me to enter this last contest and I'm very glad that I did. Age of Sigmar really opens the hobbyist p to do whatever they want, and when I read about the Realm of Ghur I began to think back to the heady days of World of Warcraft and images of one of the old expansion zones of Nagrand. I wanted to recreate that, with the Orcs of that zone having orange/brown skin tones. Sean: How did you go about achieving the results of the skin tone? What's your formula? Rusty: For this piece I used VMC Orange Rust, Vallejo Panzer Aces Light Rust and VGC Scrofulous Brown. It was really more of an exercise in cooking than science really as I just kept going back and forth shading up and down until I liked the look. Honestly, I think there are 3 other completed skin jobs underneath the final one! 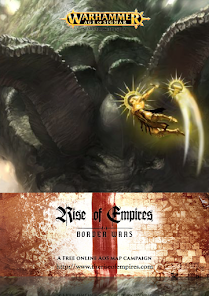 Sean: What would you like to see GW bring out next? Rusty: Not that I'm looking for something more to add to the painting queue, but I am anxiously awaiting the release of Steamhead Duardin. I'm keeping my fingers crossed Grombindal, the White Dwarf, has also made it into this new Age. Every Duardin army needs a cameo by the white dwarf! 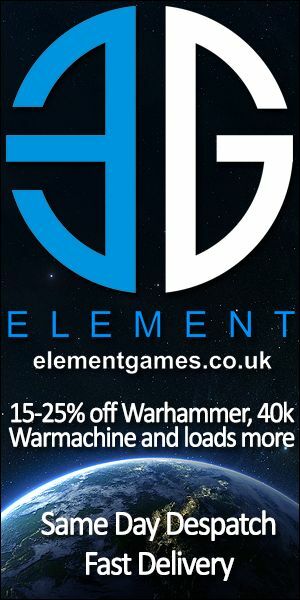 Sean: Are you into anything else other than Age of Sigmar? Rusty: Right now I am full steam ahead with Age of Sigmar. I do paint and collect Malifaux and Infinity, but with the amount of work it takes trying to foster a community in the area, I felt I needed to put those games aside and really focus on growing a strong group of core players for AoS. Sean: Anything you want to promote or plug? Rusty: I do have a Facebook Page, Rusty Paints, which hasn't seen much use, but I promise I will be using much more in the coming weeks. 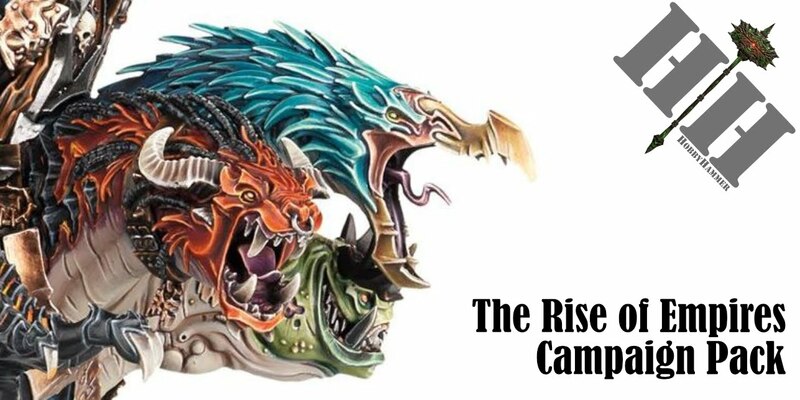 I'd also like to promote if I can, Long Island Age of Sigmar group on Facebook for anyone in the area looking for games. Post your Hobby Progress, questions, anything really! Sean: Cheers, dude! Appreciate it. Keep up the great work! Rusty: Thanks again for hosting this great contest!